Welcome to Sudden Impact Collision & Repair! Sudden Impact Collision & Repair is the gold standard for total car care in Salisbury, NC. From quality collision repairs to general auto repairs and maintenance, we provide services that will keep you on the road. We’re an independent repair shop that’s been a preferred service destination for 25 years. We treat you like family and your vehicle like it was our own. Our name says-it- all as we do-it-all! Sudden Impact Collision & Repair describes how our repairs and maintenance services will improve your driving experience. A vehicular accident can leave you stranded on the side of the road, just like an engine breakdown. Our technicians are well-trained and ready to provide you with the repairs and services you need, and some that you didn’t know you needed. Make us your go-to service facility, providing quality auto repairs and maintenance services. Sudden Impact Collision & Repair protects your daily commutes and road trips with thorough inspections and diagnostic services. Whatever diagnostic services you come to our shop for, you’ll receive the truth–100% of the time. Other repair shops are known for a lack of integrity, while we’re known for top notch customer service throughout the auto repair experience. When vehicle owners find a repair shop that they can trust–like Sudden Impact Collision & Repair–they tend to be pretty loyal. Our customers keep us on speed dial because we’re the fastest and safest route to auto body restoration and peak performance. Today, vehicles are being designed and manufactured with sophisticated engine systems, mechanical systems, and electrical systems. If you are ever in a vehicular accident, you can trust us to return your vehicle to its original condition--before the collision. Any vehicle parts and components that are compromised by a collision will be fixed completely. Vehicle owners depend on the expertise and integrity of their mechanic to protect and preserve engine performance. Our team stays abreast of all the latest technologies to make sure your vehicle’s services are always on the cutting edge. Quality auto service and collision repairs require experience and training. The team at Sudden Impact Collision & Repair performs all maintenance and repair services the right way--the only way we know how! Come See Our Experts--Schedule Today! Our team is dedicated to getting all drivers and their vehicles back on the road after any “sudden impact” on the highway. Most road accidents happen so quickly, drivers are often unaware of what they should do next, or where they should go first. Drivers should know that the decision is completely up to them. Insurance companies have their own agenda, and you have yours. Remember that Sudden Impact Collision & Repair is always on your side! We want all Salisbury drivers to know that our shop is their best option for all auto body repairs and general repairs and maintenance. 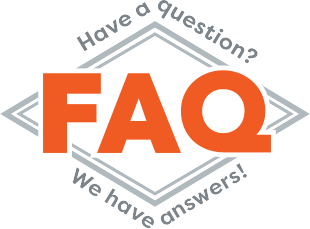 Stop by our facility in Salisbury, NC at your earliest convenience we can answer any questions, concerns, or provide a free estimate for services. Give us a call at 704-633-6188 to schedule an appointment today!